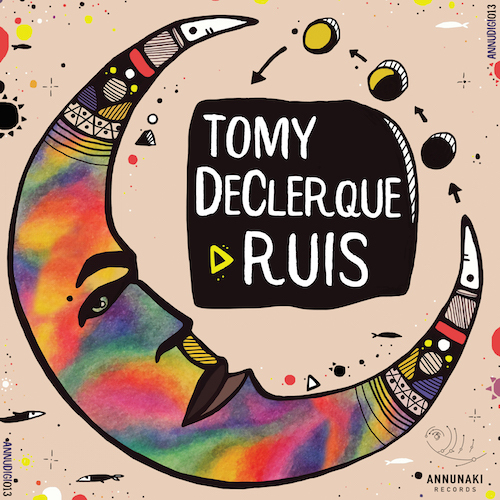 Annunaki Records welcomes Tomy DeClerque's new techno totem - Ruis EP! Annunaki records continues its vision to invite the shamans from the local tribes and their newest ritual is called Ruis, performed under the watchful ear of Tomy Declerque from the elder clan of Cartagina. The spirits of the underground are summoned right from the get-go with haunting and growling sub frequencies while the clan's drums and percussions start moving the dance tribe into a battle trance. The shaman proceeds to command the sonic spirits relentlessly into submission until the breakdown, when the filtered, yet raising floor stomper surrounds the campfire and forces every tribeman to rise and submit to the old gods of the jungle. The spirit is now augmented with ancient primal powers, which echoes and roams free, uniting the clan under one techno totem. Resistance is futile. Alan Fraze : Excellent track! JELO : Trippy, feels like I slipped into a wormhole. Thanks !